realtyWW is an international real estate advertising website. 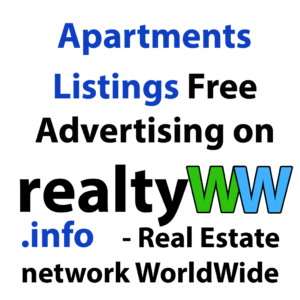 To advertise with apartments on our website please follow this page Once the apartment owner has decided to use it for sales and brought housing in order, it’s time to start looking for customers. This is no big deal, despite the fact that the number of people willing to sell an apartment exceeds the number of those who are willing to buy it. How to make apartments listings?